One of the most important lessons that I think WID got across to me was the idea of scaffolding. Specifically how we as teachers can facilitate good writing and as a consequence make everyone’s experience more fruitful. The genre of writing that I feel students have the least trouble with is journal writing, that is, any form of writing where they are speaking directly about their own experiences. After all it is our first type of narrative, the telling of a story to an interested audience that will understand it on the writer’s own level. It is the type of narrative all of us engage in daily, in oral form, explaining and recounting and regaling our peers with events that have happened to us and that we know will interest them. I have used journal writing extensively in an Integrative Seminar class for Child Studies as a tool to accomplish two things (neither objective had anything to do directly with the quality of the writing itself). Firstly, as each student is expected to do 3 hours of volunteer work with children per week, the journal entry acted as a report of what happened during their volunteer shift. 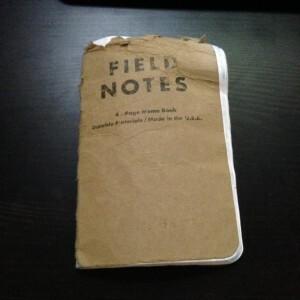 The journal is a way to include me into the volunteer experience. Secondly, as the students were instructed to do the equivalence of an ethnographic journal, I would be privy not only to their interactions with the children but also with the staff, the public and what their thoughts were at the time of those interactions. I can say that these journals have allowed me to anticipate problems and keep tabs on what happens in the “fieldwork setting” (which is what we call this volunteer work). The supervisors in these settings, which have included the Montreal Children’s Hospital, the YMCA Covered Garden Programme for Refugees, St. Columba House and others, are astonished at how I know what is going on. All of this knowledge is given me through the medium of weekly journal entries of 2-4 double spaced pages, written, usually hastily, by my students. They never complain about writing them and they are a pleasure to grade (honestly on both counts)! As a side effect these same students’ final papers always seemed and seem to come together more easily than I ever imagined would be possible at the beginning of the semester. I have for a while felt that these weekly writing exercises in some way helped the student pull together their final paper in a manner that I could never hope to duplicate with lectures, meetings and red ink. The telling of their weekly experiences opened up a dialogue with me as their instructor and with themselves and their research to provide a stepping stone from the familiar, interaction with children in an institution, to the strange, the abstract children and the abstract institutions in their research. At least that is what was beginning to dawn on me. Then I began my WID experience and learned about the importance of scaffolding as a tool to help students succeed in complicated writing projects. 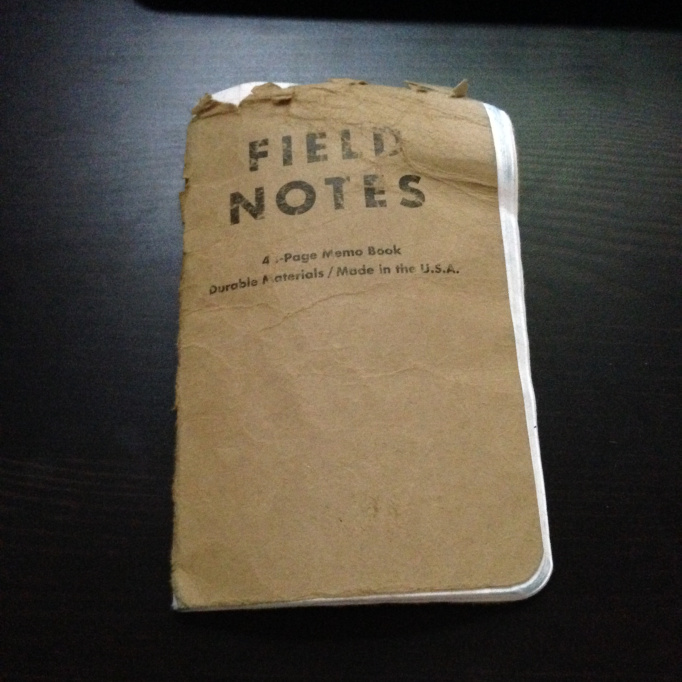 Those journals, an accidental example of scaffolding, became something that I decided to try to replicate in my Introduction to Anthropology courses. Since anthropology is the discipline of ethnography and ethnography is by definition Clifford Geertz’s term “thick description”, I figured I should be able to figure out some way to scaffold one of the main assignments in the Introduction class, an essay designed to acquaint students with ethnographic film and by extension customs in cultures unfamiliar to them. One of the most difficult pedagogical pills to swallow with this required assignment was that even after at least 4 weeks of anthropology training on ethnocentrism and cultural relativism and basic respect for the need to try to understand other cultures, students still routinely looked at the film through ethnocentric eyes. When asked to compare two traits found in the film’s culture with their own culture, overwhelmingly the answer revolved around how lucky they were to live in their culture and not_____ culture. The majority of papers (80 per semester) parroted this theme never really trying to step out of their familiar world into the strange world that a new culture represents. I decided to use a form of scaffolding that would incorporate the straightforward experiential narrative of the journal but that would apply to the film. If the students were to complete a little ethnography of their own perhaps they would be able to understand the point of view of the ethnographer in the film and by extension seek to understand the culture better. I decided to take a film I had always enjoyed but had fallen flat with the students because there was a great deal of complex information packed into 50 minutes. I had not used it for the assignment before for precisely this reason. On the positive side the film was now available through our library web site (Films on Demand) which would allow the students to access the film at home should they choose. The film has as its core subject a group of market entrepreneurs, all of them women, and uses this marketplace as a focal point for the study of cultural change in Ghana, Africa. 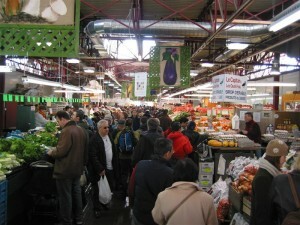 I decided to assign the students an ethnographic exercise at a local outdoor market. I have done this twice now, in the Fall semester, and the difference in the quality of the final essays is astounding! 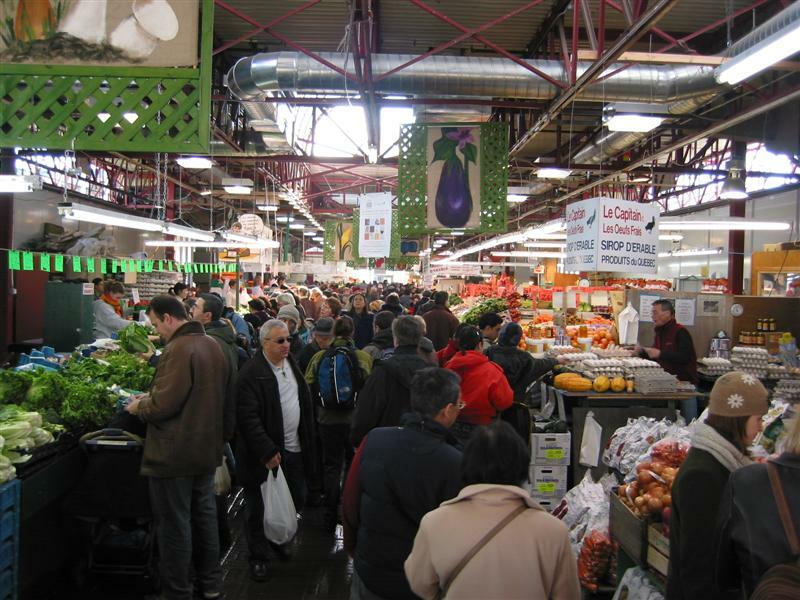 Students are asked to go to an outdoor market in oraround Montreal and to observe and engage with the merchants and the other shoppers as an anthropologist would (participant observation). They are to report their experience as a narrative, organizing the notes they have taken into the story of their outing. As anthropologists do they are to observe but also to talk to other shoppers and merchants and try to understand how the market works. They are asked to compare this experience with shopping in a supermarket. They are then to communicate their experience as an ethnographer would, telling a story punctuated with lots and lots of “thick description”. This exercise was done in Fall 2013 and Fall 2014 with great success. More than I had expected the students really enjoyed the outing and the storytelling. My list of outdoor markets was expanded to include all kinds of neighbourhood outdoor markets and flea and antique markets that students had heard about but had never visited or had often visited but had never considered the network of relationships involved in these places. But the real bonus came in the form of the final essays. Not a single essay concluded with the usual observation of how much better “our” culture is than “theirs”. When asked to compare and contrast 2 similarities and differences between the culture in the film and the student’s culture, using their own ethnographic experience, students came up with thoughtful ideas where they were truly trying to compare their narrative with the one of the professional anthropologist. This Winter 2015 I tried a different exercise and film. Adjusting to the climate (coldest February on record) the students were to attend a sporting event with the same intention of observing and discussing the event with the spectators and the athletes (when possible). They brought to this exercise the same vigor as the market and they attended everything from basketball and hockey to hip hop and Irish dancing competitions (yes, I consider dance a sport in this instance). The final film essays were once again more focused on the ethnographic detail rather than the sweeping generalizations which inevitably end in ethnocentrism. Like good social scientists they tried to communicate what they observed and researched rather than replicating cultural platitudes about those found in places they have yet to visit. I feel that for me as an anthropology teacher these little ethnographic exercises do help to provide a bridge for students to cross between the familiar and the strange, the everyday and the exotic. Cultural anthropology is a social science dedicated to the curation of stories. There is no story too small that does not somehow provide necessary ethnographic detail for understanding how people live. For me remembering that small ethnographic detail, told in stories, allows an anthropologist to understand the patterns of culture. So why shouldn’t small stories in the form of ethnographic exercises help students understand the patterns of social science research?